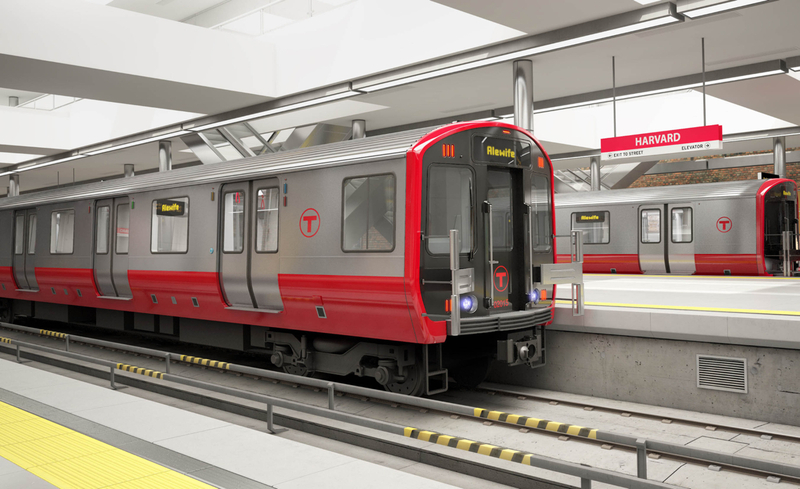 Commuters on the Red Line of the future will be greeted with an entirely new fleet of trains—clean, shiny, less-prone-to-calamity trains—after a decision today that substantially upgraded the MBTA’s order from a Springfield manufacturer. The MBTA’s oversight board voted Monday afternoon to buy up to 134 additional new train cars from train-maker Chinese Railroad Rolling Stock Corporation, and will pay as much as $277 million for them. That’s on top of the 284 trains the T planned to buy anyway as part of a deal with CRRC to upgrade the Red and Orange lines. Officials also say replacing all the trains on the Red Line, rather than replacing a portion of them and refurbishing others (which would then have to be maintained), will end up saving roughly $300,000 per subway car long-term, according to Brian Shortsleeve, the T’s acting general manager. The new cars, on the T’s most crowded line, will also shuttle an estimated 30,000 additional people per hour. They are slated to last 30 years. The board acted quickly. The details of the proposal were made public for the first time Monday, and board members were asked to vote on it immediately. T officials, according to the Boston Globe say this is because they want to make sure they can secure the new train cars at their current price, and don’t want to have to find another manufacturer if CRRC decides to fill an order for another city. Typically, these kinds of projects would go out to bid, and the T would choose the firm that could produce the trains most cheaply. But the T believes it does not have to do so this time, as it already has a contract in place with CRRC, which has built a train-building facility in Springfield—the same one that produced this mock-up version of how the Orange Line trains will look once they are completed— and because no other manufacturer is as uniquely prepared to churn out subway cars to the T’s specifications. The unusual, accelerated approval process, says Transportation Secretary Stephanie Pollack, “represents what we’ve been trying to do with the MBTA. A different way of thinking, a different way of acting,” according to the State House News Service. According to the original deal, the first new cars on the Red and Orange lines are set to be put to work in 2019. The rest will come online in batches through 2022. This newest contract would be filled immediately after that, and work would continue through 2023.